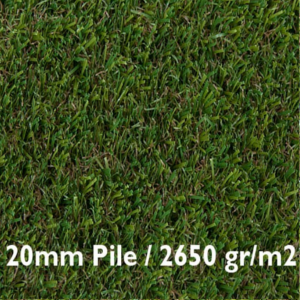 Cincinatti 20mm – A soft to touch medium pile length artificial grass (no polypropylene), Ideal for that just cut and we manicured look. 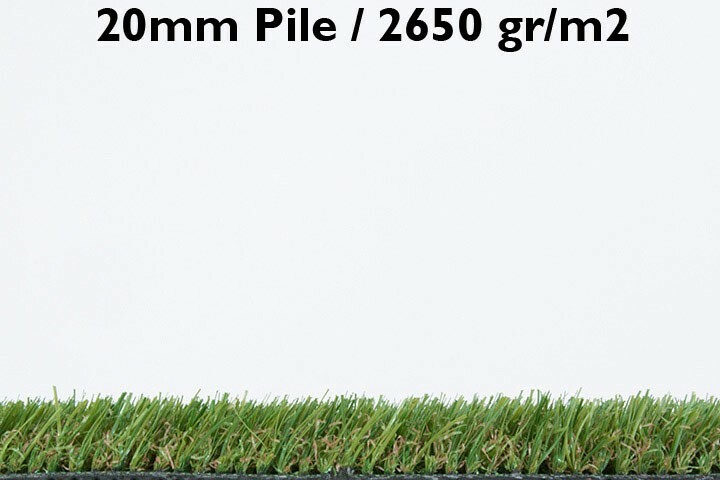 Available in 4 metre & 2 metre widths, roll lengths up to 25m are available. 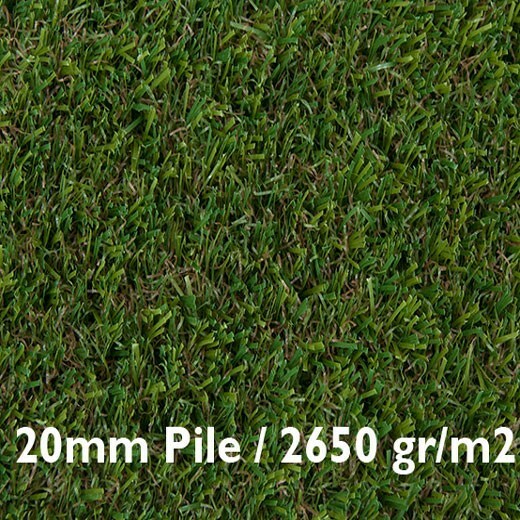 A blend of 4 beautiful coloured thatch types, including dead grass look. Soft, realistic feeling underfoot without feeling hard or plastic. New blade recovery design (won’t flatten). Easily cleanable by hosing down. Pet Friendly. 10 year manufacturing guarantee.